Dan is a founding partner of Bereskin & Parr LLP and serves as a mediator and arbitrator in respect of intellectual property disputes of all kinds. He is an active member of the International Trademark Association (INTA), has served as legal counsel to INTA, has been a member of the INTA Board of Directors, and received the INTA President’s Award in 2004. He is the author of “International Trademark Dilution” published annually by West Publishing, the Canada chapter of the book Famous and Well-Known Marks, and is the author of the trademarks chapter in Intellectual Property Disputes: Resolutions & Remedies. He is also the author of more than 50 articles dealing with various IP subjects. Dan was inducted into Intellectual Asset Mangement’s IP Hall of Fame 2014, awarded “Trademarks Lawyer of the Year” worldwide for eight consecutive years by Who’s Who Legal and identified as a Senior Statesmen in Chambers Global 2016. 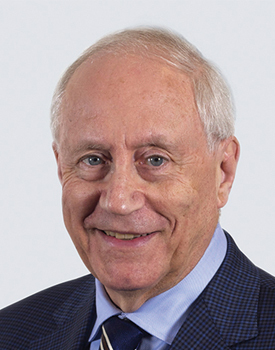 Dan has received the IP World’s World Leaders International IP Award for Lifetime Achievement, was honoured with a Lifetime Achievement Award by Managing Intellectual Property and is a Life Member of the Law Society of Ontario.